Break Time offers short breaks for primary carers of children living in Hyndburn with a Special Educational Need or Disability, during the school holidays. Sessions offer fun activities suitable for children aged 4-11 years old. 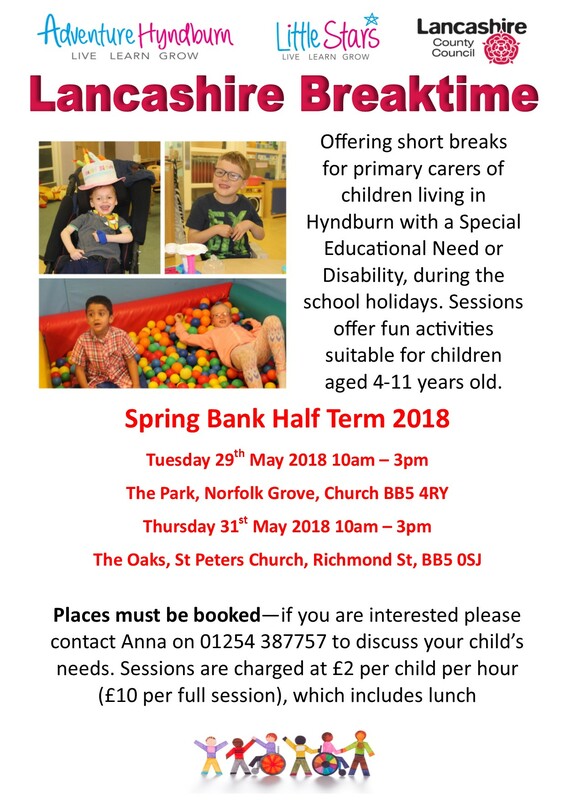 Places must be booked—if you are interested please contact Anna on 01254 387757 to discuss your child’s needs. Sessions are charged at £2 per child per hour (£10 per full session), which includes lunch.